MIPCOM: China’s WingsMedia has linked up with producers in Singapore and Thailand on a 10-feature film coproduction agreement, the first of its kind between the three countries. Shellhut and Tiny Island Pictures, a newly formed joint venture between Thailand’s Shellhut Entertainment and Singapore’s Tiny Island Productions, have signed a memorandum of understanding with Shanghai Media Group’s WingsMedia. 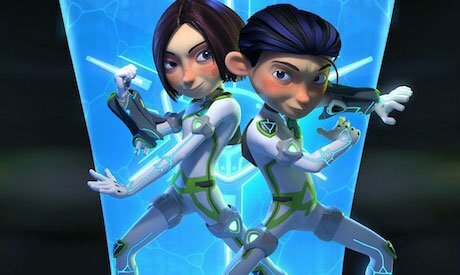 The deal, worth an estimated US$250m, is set to be Asia’s largest animated film collaboration to date. The first movie to be produced under the deal will combine WingsMedia’s hit sci-fi-themed reality TV series Starship MZ: 2049 with Tiny Island Productions’ animated series Dream Defenders. The production is expected to be delivered in 2020. After that, the aim is to roll out a film based on new IP annually. An international team of animation veterans is being assembled to lead on development and production of the films. This will be overseen by director Paul Chung, whose pedigree includes working for US studios like DreamWorks, Walt Disney, Warner Bros and MGM, and on films such as Who Framed Roger Rabbit, Space Jam and Jungle Book. A long-term goal is to build China’s answer to the Marvel Cinematic Universe. The venture is also part of Shellhut Entertainment’s strategy to expand its media footprint in Asia and includes building theme parks in Thailand based on the movies’ IP.